A 65 year old woman from Scotland went to a Doctor complaining that she was having issues with her hip. Upon running tests, it was concluded that she suffered from severe joint degeneration (a very painful disease)-but she felt no pain. Dr. Devjit Srivastava, a consultant in Anesthesia and Pain Medicine at NHS hospital in Scotland, diagnosed her to having an insensitivity to pain. The woman also confessed to never being stressed, anxious, or ever needing any painkillers-even after surgery. The woman was sent to a pain geneticists at the University of Oxford and it was discovered that she had two mutations in her genes: one was a microdeletion is a pseudogene which researchers has described for the first time as FAAH-OUT, and another mutation in the neighboring gene that controls the FAAH enzyme. 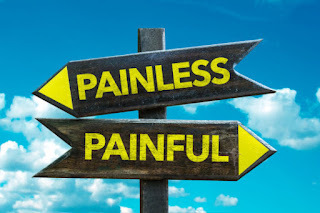 The FAAH gene is responsible for signaling pain sensation, mood and memory. Researchers believe there are many more people with this mutation in their FAAH gene, but live their lives completely unaware they even have it. By studying these gene mutation more, it can help immensely with people that live in chronic pain, or even patients recovering from surgery. By manipulating the FAAH-OUT gene, Doctors would be able to treat their post-surgery patients without the use of opioids, and decrease their patients healing time. In my opinion, this would be a very interesting research to conduct as the opioid crisis is at its all time high.